Here are some games that I enjoyed playing quite a bit and were either released or updated in some form in 2013. Far and away my personal game of the year was League of Legends. If you want to get specific to 2013, then “Season 3” of League of Legends. I truly identified as a League player during 2013 and it’s where the vast majority of my video game playing time was devoted. In addition to that I spent countless hours watching professional play and reading the forums and subreddit. I went from a new player to a Silver I rank and that profound, painful, hilarious, rewarding mess of an experience was something I’ll never forget. I’ve taken a break from the game since Season 3, but I hope to return shortly. On top of all of that, thanks to the kindness of my friend Simon Ferrari I was able to attend the Season 3 World Championships at the Staples Center in October. 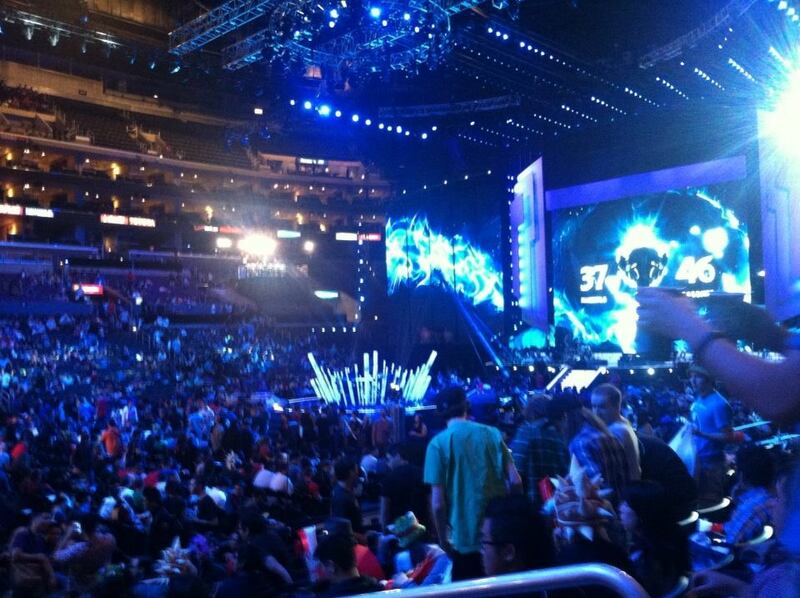 It was my first eSports event and it was truly a transcendental and amazing experience. 2013 will forever be the year I played, nay lived the heck out of League of Legends. Fill or Feed. Ever since I took a break from League of Legends at the conclusion of Season 3 I have been playing more Starcraft 2. I’m no veteran or expert, just a lowly Silver player, but coming from League the elegance of the game, from its UI design to its balance, is something otherworldly. Starcraft 2 is a game so great and with such a high skill cap that it’s honestly the first video game I cannot delude myself into thinking I could ever be world class at. However, it is a rewarding game to work at and an excellent way to be humbled or overwhelmed if one has a spare 30 minutes. Watching Starcraft 2 has also been a minor, yet rewarding part of my 2013. 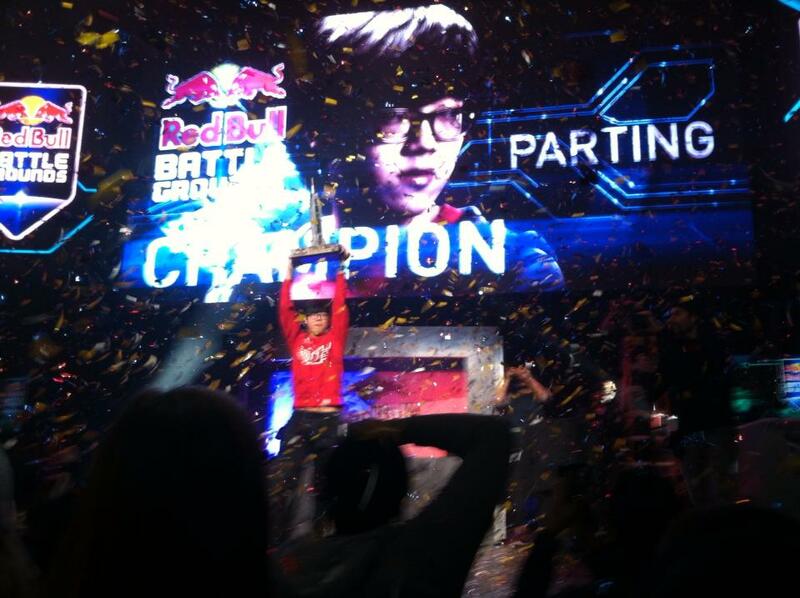 I attended the Red Bull Battlegrounds tournament in NYC at the Hammerstein Ballroom in November and it was a blast. A photo I took of Parting as he won the NYC Battlegrounds tournament. I don’t play many games for their narratives, nor do I tend to play as much interactive fiction-type games as I probably should. That said, I decided to play through Kentucky Route Zero on a plane ride to L.A. since my friend was giving a talk on the game. It was a beautiful little game that really surprised me. The art is wonderful and the scenes are really well paced and directed in a purposeful, stylish way. It’s hard to describe, a bit Lynchian perhaps, but also there’s something Murakami about the whole thing as well. Part of what I enjoyed most about it was sort of how un-gamey it was. There were these really light choices, but the game quickly established they meant next to nothing outside of the one moment I was making them in and this really let me relax. Part of what irritates me about narrative “choice” games are that the branches they create in mechanics or story stress me out. They create this odd “fear of missing out” anxiety that I’d rather not deal with. 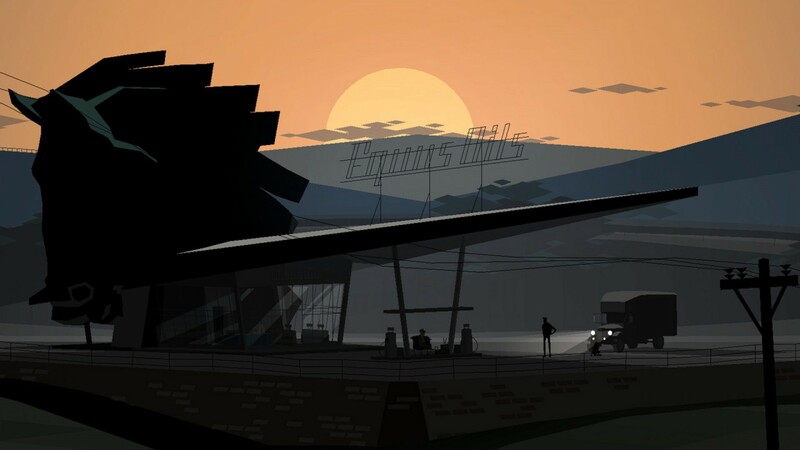 Kentucky Route Zero managed to be a visual interactive narrative game thing that did not do this to me, and the result was a much more rewarding experience than I had expected. 868-HACK is one of the latest roguelike type creations from Michael Brough and I picked it up later on in the year. The design of the game is quite excellent and what I particularly love about it is how clearly presented yet surprisingly complex the different strategic choices are. The game’s design is full of interwoven dichotomies that seem clearly opposed: programs (the game’s term for abilities) versus points, aggro programs versus utility ones, points versus resources, resources versus programs, spawning many enemies versus few, etc. At the same time though, the game provides a variety of mechanics that blur all of these lines, allowing the player to twist one investment into another or use a certain resource in an unexpected way, often making things both seem better and worse at the same time. 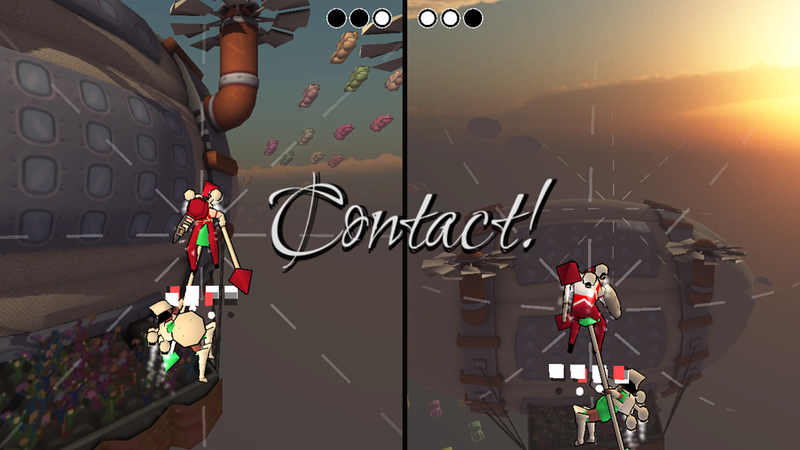 The Credits resource is typically spent to use “aggro” programs that help deal with enemies, while the Energy resource is often spent on more “utility” oriented programs that allow the player to move around or manipulate other enemies and resources without directly attacking anything. It seems clear cut, but just the existence of the Exchange program that allows you to transfer Credits to Energy changes the entire way a player might look at the resources in a given run. The Score program, while potentially a curse on the high-score chasers out there, is particularly inspirational to me in its design. It provides a point for every level, or “sector,” the player has left in exchange for five energy. This means it is most cost-efficient in the first sector, where it will provide the player with 7 points for every use. However, to acquire the Score program the player must unlock, or “siphon,” a tile that will spawn a whopping 6 enemies, which the player will have a more difficult time dealing with the earlier in the game they are. Furthermore, a player lucky or skilled enough to acquire the program early on is also unlikely to have enough spare energy to use it more than once or twice at first. Just the presence of the “Score” program in the game’s design raises a series of very simply put, yet complex-to-answer questions for the player in every run. Score is at its most efficient at the same time that it’s at its riskiest and least convenient, and I love that about it. As a quick personal note, I also sort of helped (re? )discover the secret level in this game at the end of the year as part of James Lantz’s #SecretHunt2013 after the creator Michael teased the existence of a secret level in the iOS patch notes. While I may have been the first to tweet out loud the method to getting there, really all the credit goes to Alan Hazelden whose tweeted hints made it somewhat obvious to both James and I, and to James for being the first one to execute and reach the secret level. Still, it was really exciting feeling like I was part of discovering something in a game I loved and it reminded me of how much I still enjoy secrets in games. Spelunky may not have quite come out this year, but it was this year that I played it the most and I think the Steam and PS Vita releases this year are its best versions. I may not have reached Hell or even “beaten” the game from the start more than a few times, but like many game designers I became enamored with Spelunky. The game still feels a bit finicky to me, almost too loose and weird sometimes, but mastering that has given the game a bit of its own unique personality. There’s too much to say about it so I’ll just say that I feel that Spelunky is sort of like trivia, jazz and Super Mario. Like many other game designers I know, I love to think of games as not consumable pieces of media, but platforms for performance, ritual, expression and competition. 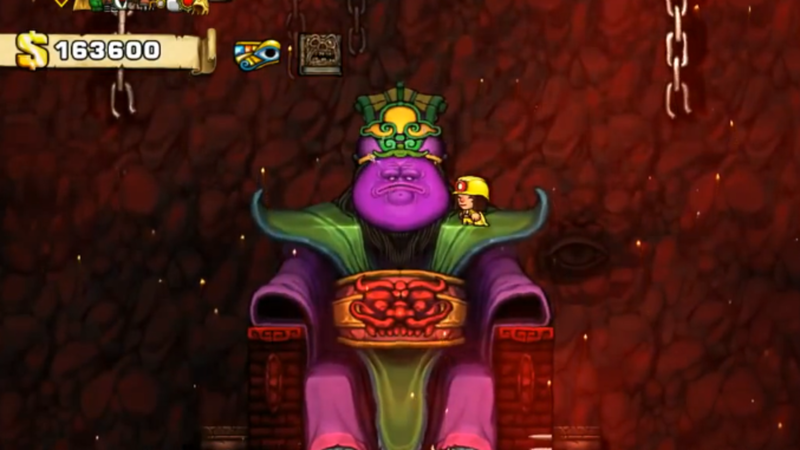 Spelunky enables all of those things brilliantly, especially with the addition of the Daily Challenge feature in the Steam release, which gave a new wind to those streaming and even competing in the game at a high level. Also, Spelunky provided us with 2013’s Most Fascinating Video Game Moment and through that what to me was the most fascinating piece of games journalism this year by my friend Doug Wilson. This is an “intense duelling game” created by Sophie Houlden for the No Quarter exhibit at the NYU Game Center. I was lucky enough to both be able to play it for quite some time at NYU, and then quite some time again at the Indiecade eSports Tent in October. It’s not released or finished yet, but the game is wonderfully fun and near perfect for festivals and showcases. As someone who spent a great deal of time this year trying to create a dueling game that was good for festivals and showcases I was humbled and inspired by There Shall Be Lancing. In There Shall Be Lancing, players are essentially both glued to the outside of a sphere, positioned at opposing ends, and can decide on a variety of angles to attack across or to spend energy that would increase the speed of their angular attack in order to fire a shot down the middle. It’s entirely new and unique. In the world of Towerfall, BaraBariBall, and Samurai Gun (all great games that I love) it’s easy to forget that “minimalist eSports” don’t just have to be 2d platformers, or 2d at all for that matter. There Shall Be Lancing inspires the question: what if more indie multiplayer games were made in 3D? 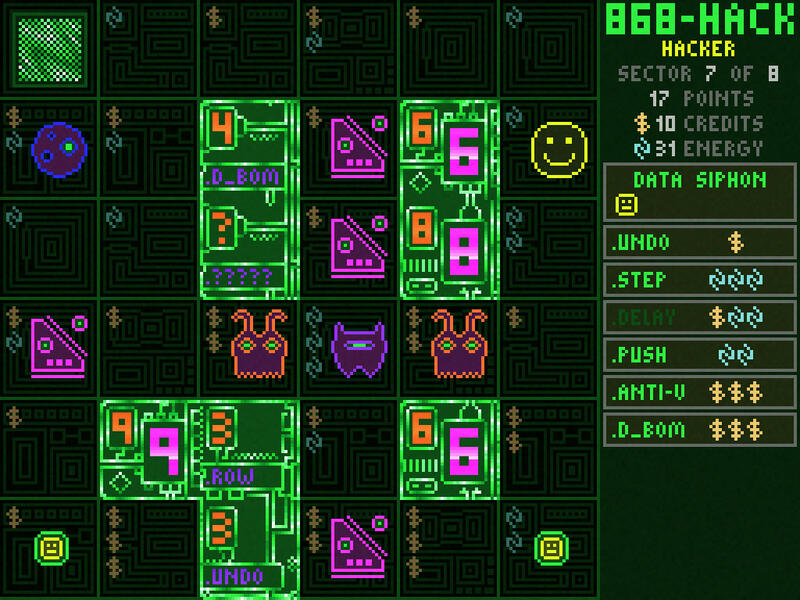 Like 868-HACK, There Shall Be Lancing is transparent in its options, simple in its execution, yet provides enough options to players to become strategically deep. I love that it still includes some timing skill in the quick reactions needed to block or decide on a shot, yet has inputs simple enough for anyone to easily pick up. I’m also a big personal fan of the visuals and animations of the game. I think they’re really impressive and give the game a nice tactical feel as well as its own personality. Hokra, Ascension: Immortal Heroes, Towerfall, Hokra, SlashDash, Hokra.